My two kids will be in the BCPS system for another 7 years and I’m concerned about the direction the current administration is taking us. Too much standardization and not enough flexibility to meet the needs of an extremely diverse system. Plus, I’m tired of reading more and more news about the corruption and wasteful spending and finally decided to get involved and try to make a difference from within. I feel that my university experience and numerous years as a teacher will be an asset to the board and will help guide change in the BCPS system. I always liked John Huntsman who briefly ran for president in the last election. His downfall was that he was a moderate and apparently used too much reason to succeed in today’s political climate. To be honest, I don’t read much about politics. I do enjoy books about history and the American Independence. George Washington, in particular, always struck me as an idealistic man who put country above self. Our current political system is hampered by partisan politics and a complete lack of compromise. “The Blessings of a skinned knee” guided my wife and I through parenthood and while it may not be a traditional book about education, the lessons in it should serve teachers and parents alike. The basic message is that its ok for kids to fall – those are the teachable moments and times when parents or teachers can actually foster improvement and development in the child. We are transitioning from the Millennial generation – a generation which parents did not allow their kids to fall, to Generation Z. I want to make sure that our children have a sense of accomplishment rather than a sense of entitlement. Overall, my top priority will be to be a voice for the parents of Baltimore county. Currently, I feel that the board and the superintendent do not make decisions based on the best interest of the children across the entire system. It is a large system and what’s best for one school area may not be best for all. Sorry but I have four. They are: 1) to ensure the continued safety of our children and staff. Thankfully, we have not had any significant tragedies like the horrible tragedy recently experienced by Florida. I want to make sure we have the right safety measures in place to ensure our children’s safety and their feeling of security; 2) Literacy. As BCPS says, “literacy is the foundation for learning in every subject area”. I am a speech pathologist and we receive specialized training in literacy yet BCPS does not allow speech pathologists to help with written language. We should have an all-hands on deck mentality to tackle this problem and give our children every possible tool to develop those literacy skills; 3) Class size is a significant issue. I know funding is a major problem but as I stated elsewhere on this form, research shows that reduced class size = greater success. Even if its not financially possible to hire more teachers, we could start with providing more support for teachers who have children with special needs in their class. If enough support is not provided (as is too often the case), teachers are required to focus too much attention on those children and not enough on their primary job- teaching; 4) And my fourth priority will be to fight corruption in BCPS. It seems I’m constantly reading about no-bid contracts and corruption in our system and I’m tired of it. Apparently, its been too easy to bilk the BCPS system and the current board has not done enough to prevent it from happening. Lack of flexibility for the school and the teachers. I’ve spoken with numerous teachers and many have shared their concerns about the common core and how it does not allow them the flexibility to teach based on the needs of the kids in their classroom. Less than half of the nations schools have kept the Common Core in its original form and while Maryland has changed the name, its essentially the same thing. 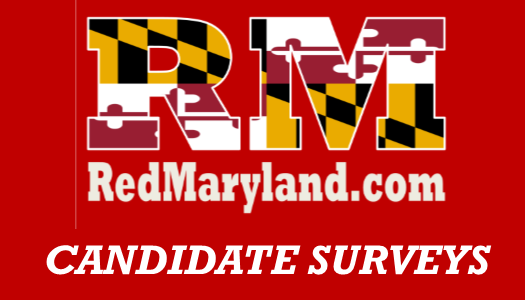 Maryland needs to learn from other states, take advantage of new research analytical tools to discover what works and what doesn’t, and make the appropriate adjustments. To be honest, no. Not for lack of trying though. I used the search term ‘curriculum’ on the BCPS website and found audit reports from 2007 and a budget report from 2013 but there was no updated information on the current curriculum for the elementary, middle, and high schools in the BCPS system. Furthermore, I looked at the Boards site specifically, and there is only one report from 2013 and nearly all of the other reports are from 2007 and earlier. In this day and age when information should be readily available and parents should have the right to know what is going on in their schools, this is an abomination and should not be tolerated. I need to educate myself better on the funding portion but my overall sense is that we need better fiscal management and not necessarily more spending. Too much money is being spent on wasteful items and more oversight is needed for those who do make our spending decisions. While I recognize the importance of tenure – I myself received tenure at my school a few years back – I also acknowledge that teachers still need to perform at a high level. That brings into question appropriate and fair evaluation procedures though and those need to be agreed upon by both the teachers and administration. As a father of a child in middle school and one in elementary, I feel there is too much. Too many days spent on taking tests and not spent on individual instruction. Furthermore, I feel that testing should be more individualized and tailored to the students’ needs and that teachers and schools be given more flexibility in which tests are administered to better fit the needs of their students. Needs to be decreased. Research suggests numerous problems start to exist in classrooms with a ratio greater than 14:1. I recognize funding is always an issue but BCPS needs to target this and make reduced class size a priority. No. I think that should be left to fully elected officials and since there are still members of the board who are appointed, taxation should not be included in their scope.